Because the foot is three-dimensional, any two-dimensional measuring tool, such as a ruler or Brannok device�, can only approximate your true shoe size. 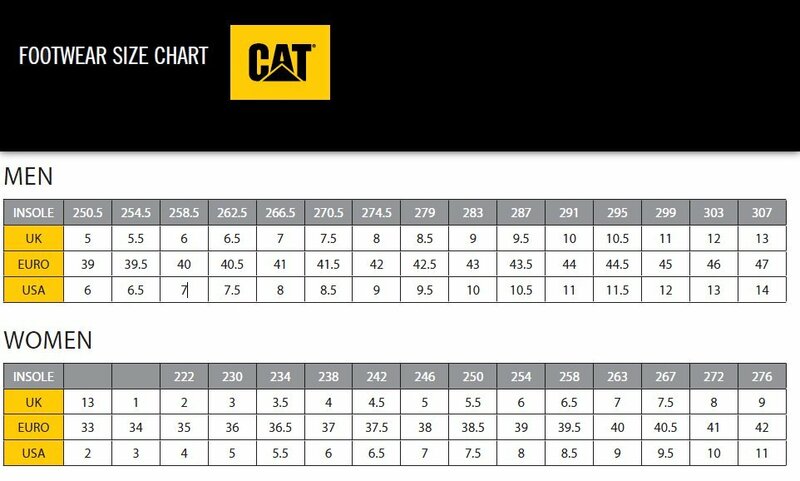 Please also keep in mind the manufacturers use different lasts to construct their shoes, and sizing may vary accordingly, for example see the CAT Footwear / Caterpillar Boots Sizing Chart. Make sure you are standing, wearing the socks or stockings you will wear with your new shoes. Click on a size or width to view matching shoes!